One of Australia’s greatest treasures is her flora – a staggering 24,000 species of native plants. Now this is where my late mother would have been in her element. She would have known the names of all the plants we ooohed and aaahed over. My beloved and I don’t have a green finger between us while my mother poured her heart and soul into her garden which was always a blaze of colour. She would have loved seeing one of her favourite flowers everywhere. Not so much a host of golden daffodils as clouds of gently swaying blue and white agapanthus plants in gardens, growing wild in the verges and decorating civic areas. She planted hers in large cobalt blue pots on the patio. 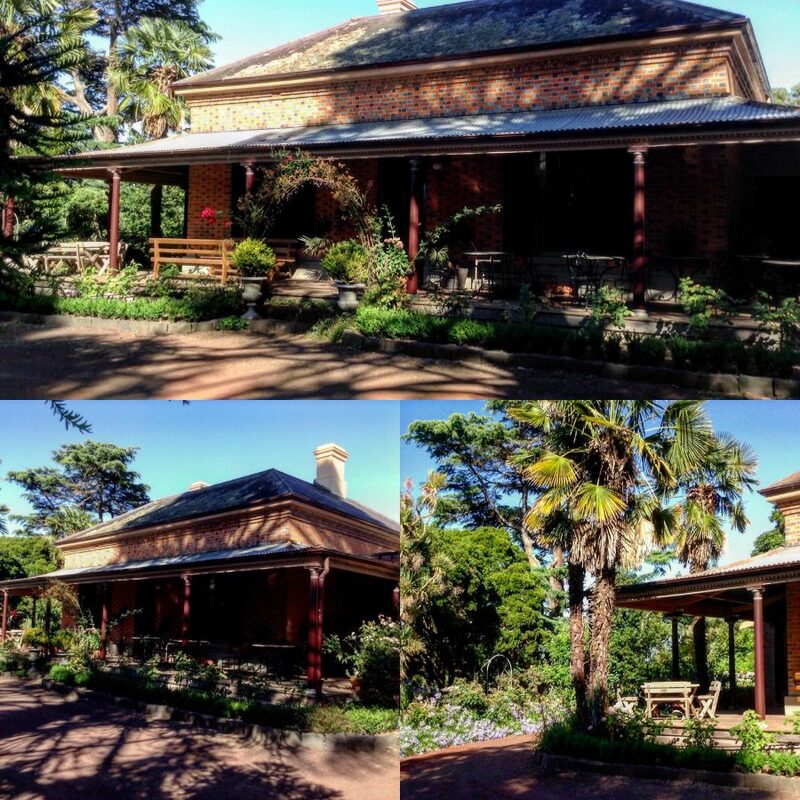 The owner of the beautiful historic house we stayed in at Birregurra told me that they’re easy plants to grow. Maybe, I’ll give them a go on the terrace. In addition, the vineyards we visited all had beautiful well-cared for gardens, some with potagers, others with sculptures and, of course, rows and rows of vines, orchards and olive trees. But it’s not just the flowers, the trees and bushes are magnificent too and again there’s a huge variety from stubby to towering trees, monster killer ferns (just joking!) and all sorts of shrubs. I enjoyed looking at the variety of plants in the dunes, protecting those long lovely sandy beaches. I particularly loved the smell of the gum trees (eucalypts) on a warm afternoon – so evocative. They’re another omnipresent species and serve as shelter for many species of native Australian animals and birds. A few varieties of gum leaves are the only food koalas will eat. Not that I ever saw one up a tree despite craning my neck upwards for hours. This brings me onto the fauna. This time around we didn’t see any living animals in the wild, only those at the Tour Down Under which the pro riders get to cuddle. Sadly we saw far too many dead on the roadside, roadkill. However, we saw and heard much of the bird life. The birds – a bit like the Aussies themselves – are noisy. I loved lying in bed in the early morning and hearing them sing, shout and shake it all about but the only ones I could name were the raucous white cockatoos.